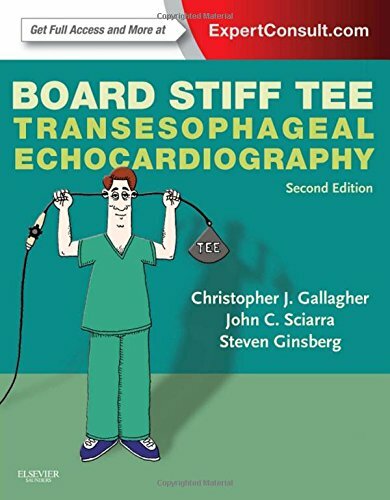 Board Stiff TEE: Transesophageal Echocardiography: ExpertConsult Online and Print, 2e on amazoncom free shipping Learn TEE the fun and effortless way! Dr. Gallagher returns with the 2nd edition of "Board Stiff TEE: Transesophageal Echocardiography", following the same humorous, digestible writing style that made the last edition a runaway best seller. This highly effective, enjoyable, and affordable medical reference book is not only ideal for those taking the boards; it is also a great overview for anyone looking to stay up-to-date on this increasingly important monitoring modality.